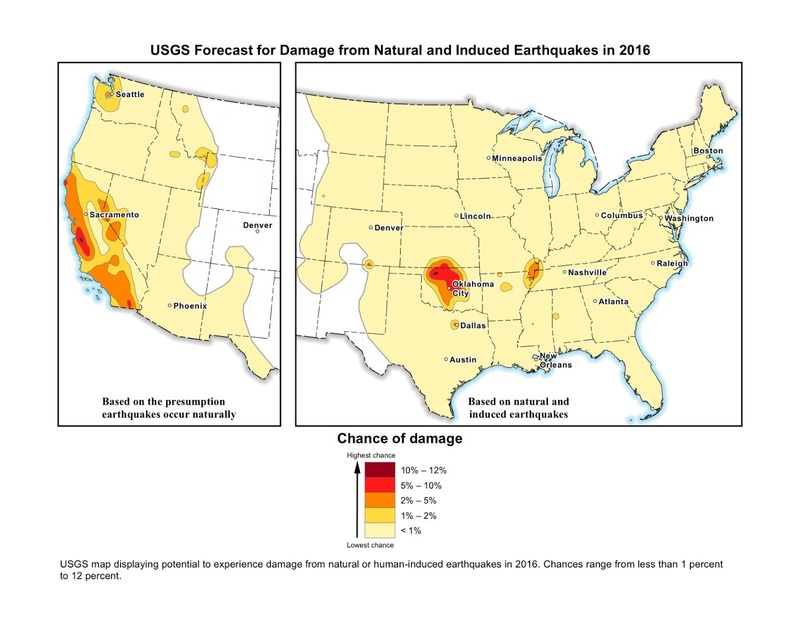 A new federal map shows parts of Oklahoma are now as seismic as parts of California and Alaska, long the nation’s leaders in earthquakes, and for the first time includes man-made earthquakes. 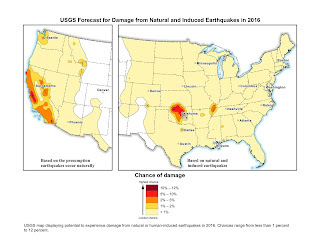 The U.S. Geological Survey’s new earthquakes hazard map, which helps states and government officials determine insurance rates and building codes, is in part a reaction to the historic increase in seismic activity in Oklahoma. Last year the state experienced almost 900 3-plus magnitude earthquakes; in 2007, it recorded just one. On earlier USGS maps, Oklahoma was a seismic afterthought. The oil industry has been defending Fracking since it was first discovered to be an environmental problem. State and corporate oil interests have fought hard to keep the public in the dark, but enough damning facts have surfaced for us to see what's really been happening. What was it that Sarah Palin once said the country should do to the delight of the GOP? Oh yea!